Travis + BYOS x The Purge = This. 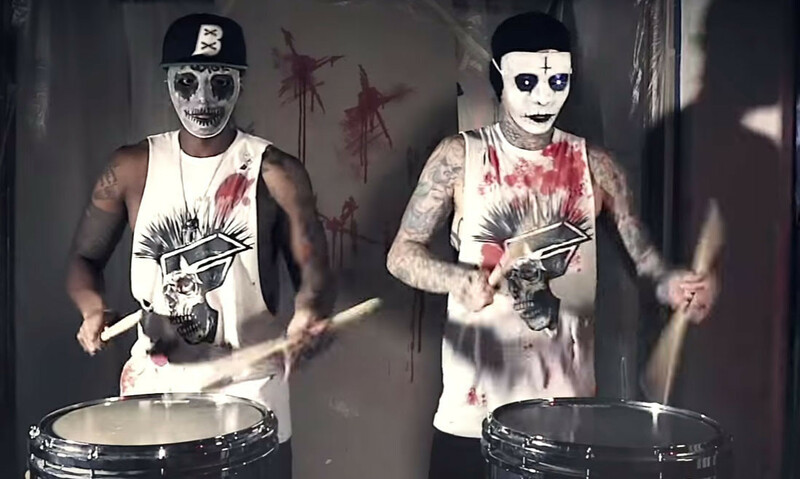 Blink-182's Travis Barker has released an unnerving new drum video. He's teamed up with Ralph Nader of performing arts duo BYOS, for a horror-themed clip - taking inspiration from The Purge. Travis recently revealed that his new solo album is "70% done".